I recall reading a story years ago (available here) in the New York Times on studies that had showed the party who gets asked more questions by the Court (in that case, the US Supreme Court), typically loses. Lawyers probably know this intuitively. If the bench is sitting there quietly while your friend makes his/her submissions and then they grill you, that isn’t usually a good thing. With that in mind, I watched the webcast of the SCC hearing in McCormick v. Fasken, 2014 SCC 39, and assumed that the appellants would win. The case involved the applicability of the Human Rights Code (the “Code”), and in particular prohibitions against age discrimination, to Fasken Martineau’s partnership. The plaintiff had been a partner until his forced retirement at age 65. 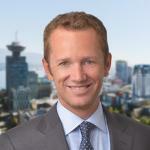 The BC Court of Appeal had concluded that the partnership was not an “employment relationship” and, as a result, did not attract the protections of the Code. At the SCC hearing, the Court questioned counsel for Faskens, Irwin Nathanson Q.C., at considerable length. Some of the SCC members light-heartedly noted that they had passed 65 themselves and they seemed quite concerned about the ramifications of this case. However, Mr. Nathanson very calmly addressed all their questions and, in reasons released this week, we now find out, managed to win them over. The Court concluded that the plaintiff, as an equity partner, was part of the group that controlled the partnership and was not in an employment relationship. As such, he was not entitled to the protections of the Code.